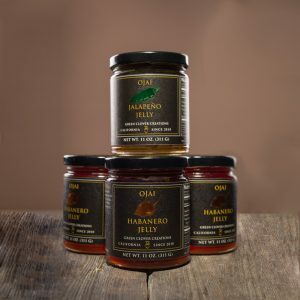 Ojai Pepper Jellies – This small batch condiment maker produces two fantastic spicy jellies – Jalapeno for those who like a mild kick and Habanero for the heat lover. They’e both flavorful with balanced sweet and spice and make a tasty glaze for seafood, meat or poultry. 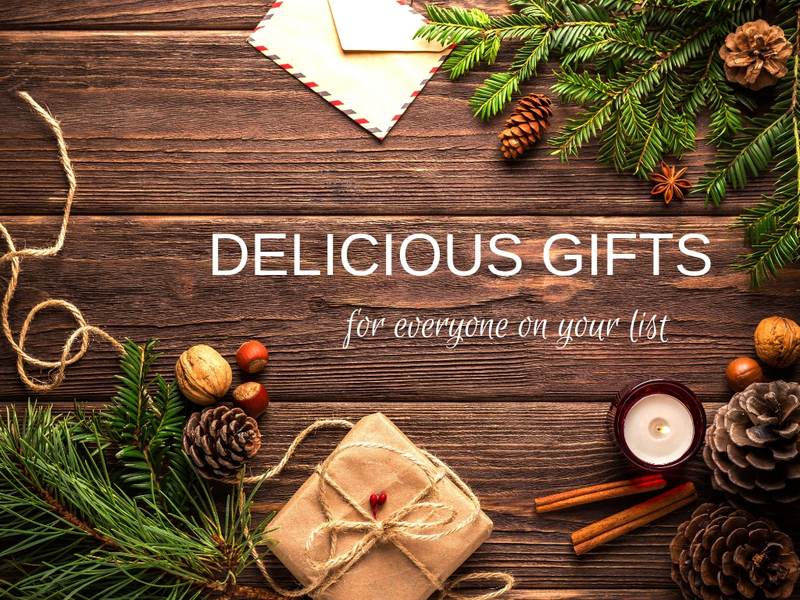 Get some as a hostess gift or try it on an appetizer of baked brie in puff pastry for your next holiday party! $10.95. 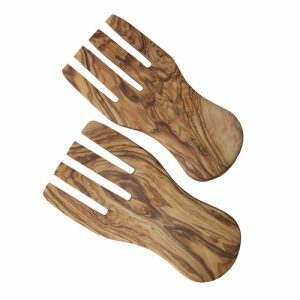 Olive Wood Salad Hands – this fun pair of olive wood salad hands are great for mixing and serving salad or pasta. Made from stunning olive wood, these salad servers are patterned with the natural grain of the wood, making each pair (and each hand) completely unique and truly one-of-a-kind. $20.99. 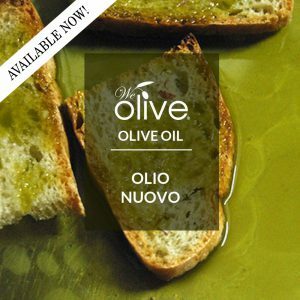 Olio Nuovo – This once-a-year treat is at the top of our list and a must for any food lover. 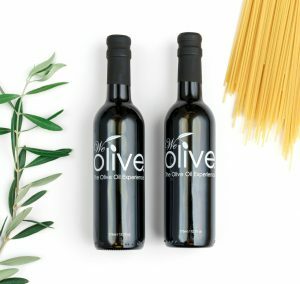 Olio Nuovo is literally THE freshest extra virgin olive oil available because at harvest time it comes straight from the trees to the press to We Olive. 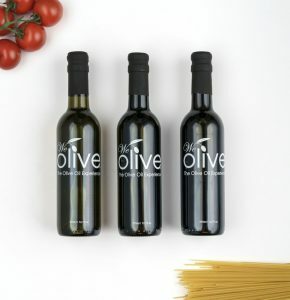 It’s robust and packed with fresh olive fruit flavor and is best consumed within a few months and preferably with crusty bread, fresh mozzarella and coarse sea salt. From $23. 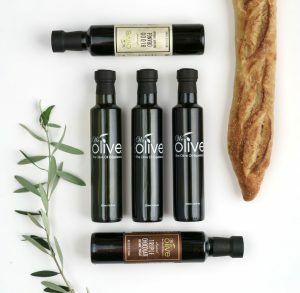 Olive Oil & Vinegar Experience Sampler – our most popular gift item! 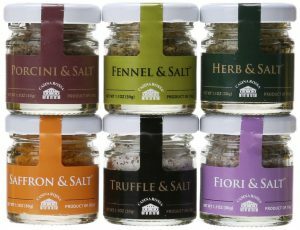 A sampler pack of our bestsellers: Arbequina EVOO, Aged Balsamic, Peach White Balsamic, Meyer Lemon Olive Oil and Fresh Garlic Olive Oil. From $29.95. Growers Choice Gift Box – this gift box is perfect pairing of our bestselling Aged Balsamic Vinegar and our Picual Extra Virgin Olive Oil. 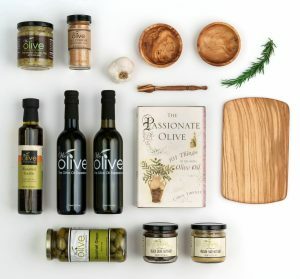 Packaged in our stylish We Olive gift box, your gift recipient will be thrilled. $49.95. 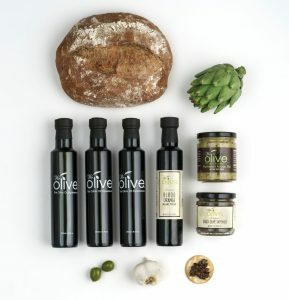 Olive Oil Club Subscriptions – There’s a perfect club subscription for everyone! Choose from 3 different plans, choose the bottle size that is right for you and then choose the frequency of your shipments. From $65. *Check your local We Olive store for product availability.